Crawfordsville, Indiana, has several claims to fame, most of them literary. Once hailed as “The Athens of the Midwest,” the town was home to Ben-Hur’s author, the novelist and Civil War hero Lew Wallace. 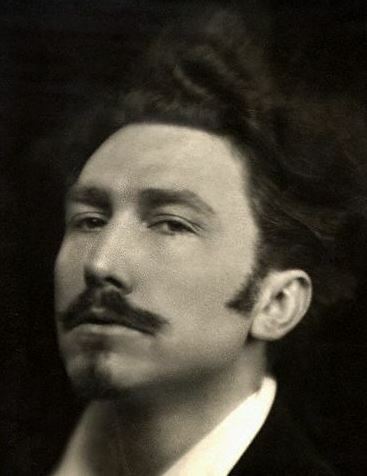 For a few months in 1907 and 1908, it was also, briefly, home to the unconventional American poet Ezra Pound. 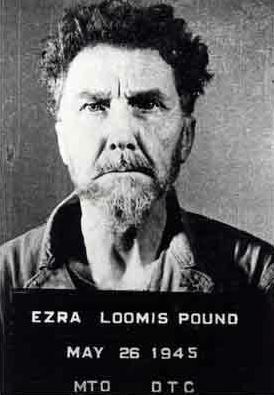 Ezra Pound not long after abandoning the Hoosier State with $80 in his pocket. Ironically, both Lew Wallace and Ezra Pound had some unusual connections to incarceration — as did Crawfordsville itself. In 1865, Wallace had headed the commission that investigated Henry Wirz, the infamous Swiss-born Confederate commandant of Andersonville prison camp in Georgia, where Union soldiers were starved during the Civil War and some were allegedly killed by Wirz’s bloodhounds. (Wirz was executed following Wallace’s investigation.) As for Pound’s own experience with jails, after the Allies and the Italian resistance toppled Benito Mussolini in 1944, the former Wabash College professor-turned-Fascist, who had done radio broadcasts in support of Il Duce, was shut up in one of the U.S. Army’s outdoor steel cages in Pisa, Italy. Pound’s mugshot after turning himself in to the U.S. Army in Italy, May 1945. U.S. forces imprisoned the expatriate American poet in a special outdoor “security cage” in Pisa. Pound was soon transferred to St. Elizabeth’s Hospital, a mental facility in Washington, D.C., under charges of being an “intellectual crackpot.” He spent over a decade there, refusing to talk to doctors with Jewish-sounding names. Pound wasn’t released until 1958, when he returned to Italy. 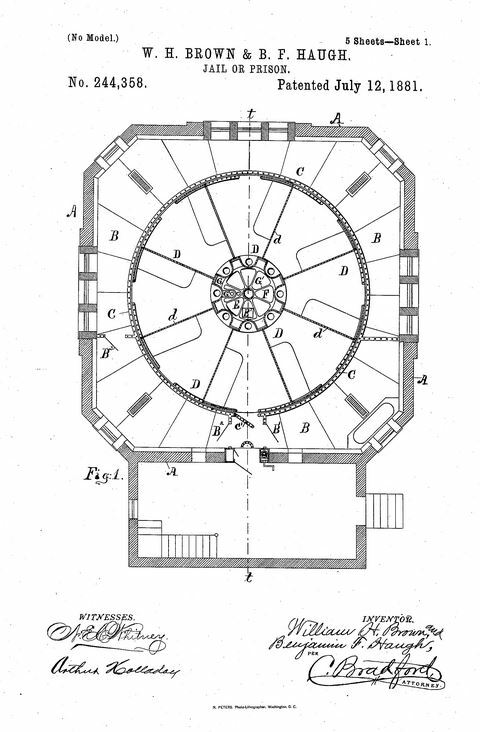 The object of our invention is to produce a jail or prison in which prisoners can be controlled without the necessity of personal contact between them and the jailer or guard, and incidentally to provide it with sundry conveniences and advantages not usually found in prisons; and it consists, first, of a circular cell structure of considerable size (inside the usual prison-building) divided into several cells capable of being rotated, and surrounded by a grating in close proximity thereto, which has only such number of openings (usually one) as is necessary for the convenient handling of the prisoners; second, in the combination, with said cell structure, of a system of shafts and gears, or their equivalents, for the purpose of rotating the same; third, in constructing within said circular cell structure a central space for the purposes of ventilation and the disposition of offal, &c.; fourth, in constructing niches in the side of the cells next said central opening to serve as water-closets, and arranging underneath said niches a continuous trough to contain water, to receive and convey away into a sewer with which it is connected all the offal deposited therein by the prisoners in all the cells. . . . 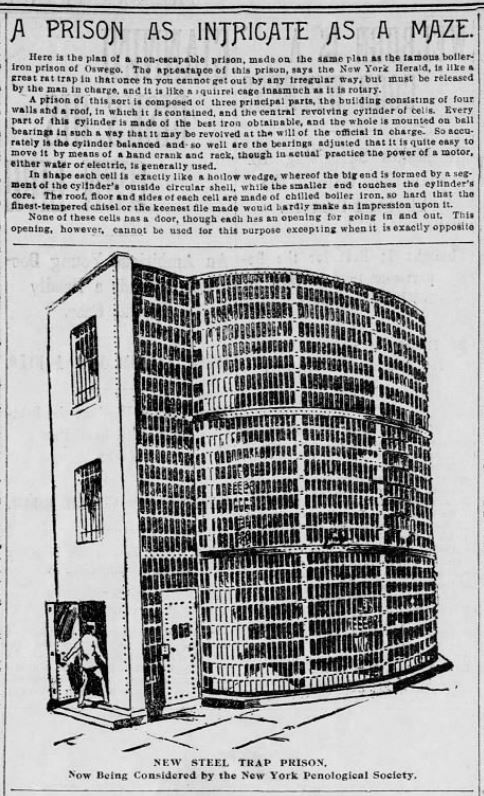 In other words, one of the primary goals of the revolving jail was to facilitate the disposal of human waste without having to ever release the prisoner from his cell or even to come into any contact with him at all. The other goal was to render escapes and prison riots virtually impossible. 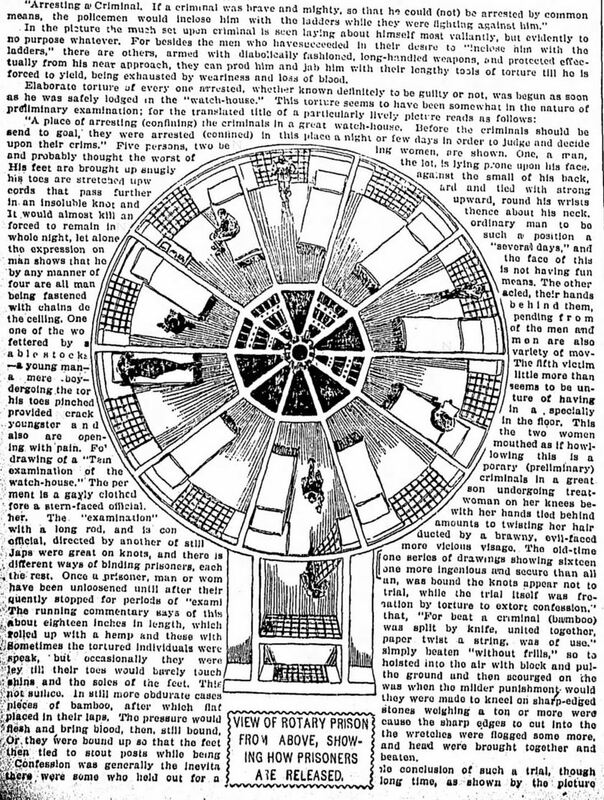 The World, New York City, October 3, 1897. 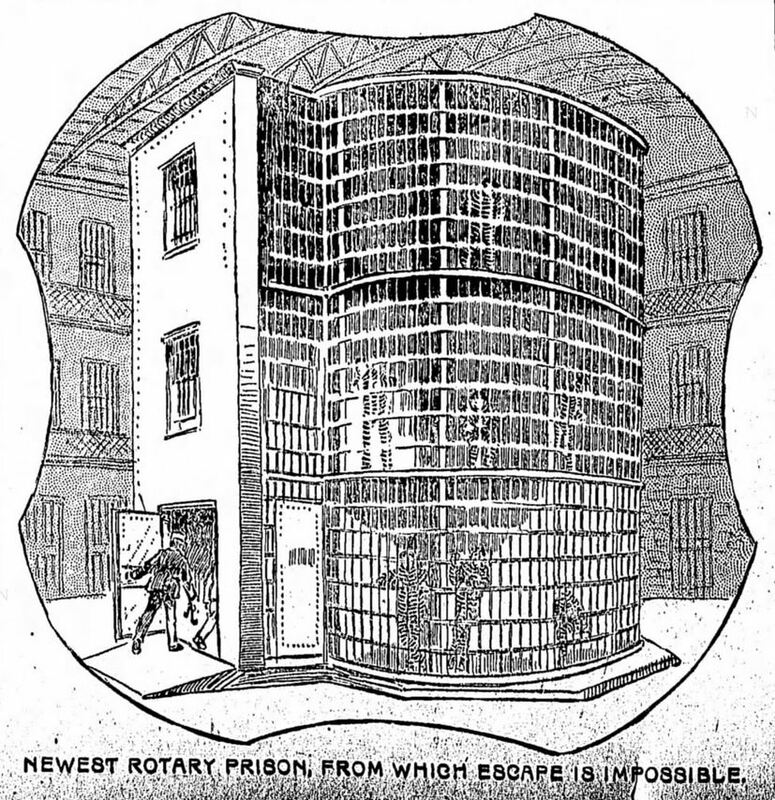 The prisoners are handled without any possible chance for personal contact with any except the one desired, as the cell structure is rotated until the door-opening of the cell desired is brought opposite the general door opening in the outside grating, and while one cell occupies this position the rest must of necessity be securely closed. This arrangement makes the whole prison as convenient to the keeper as though it consisted of but a single cell, and as safe as if it contained but a single prisoner. 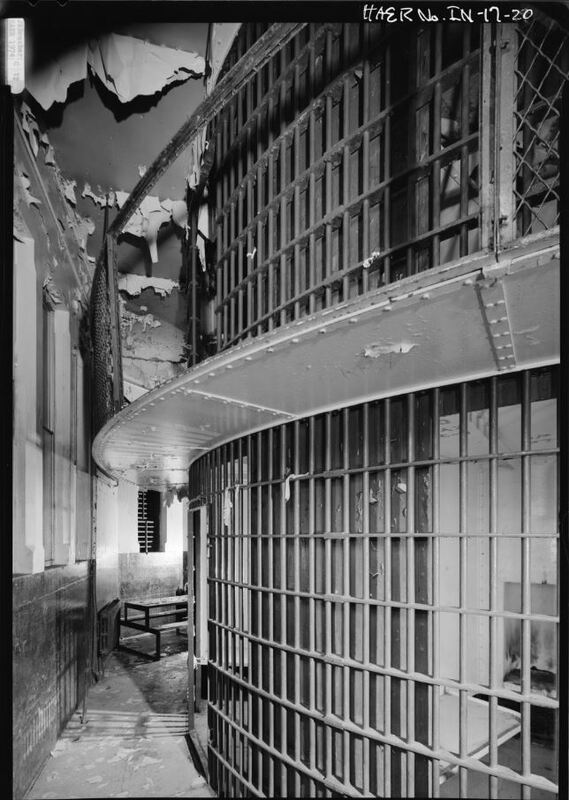 Double-tiered rotary cell block, Montgomery County jail, 1970s. 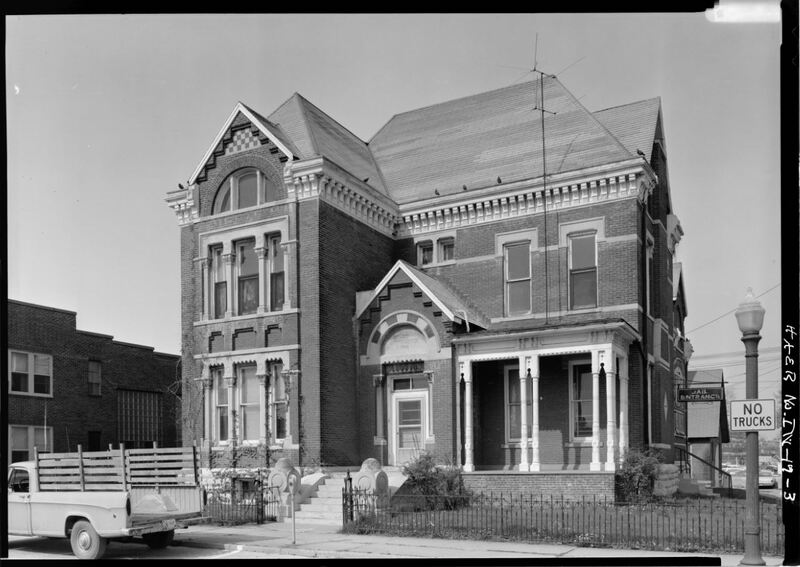 Library of Congress Historic American Buildings Survey. 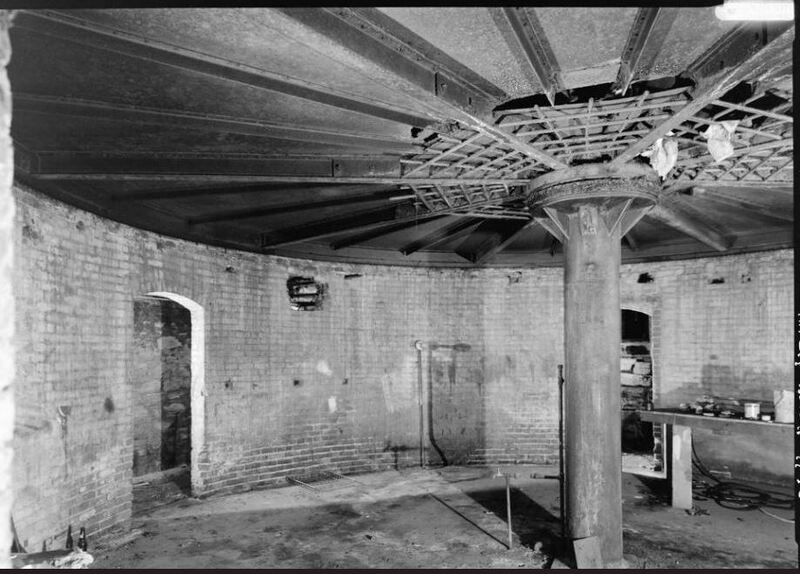 “General View of Circular Room in Cellar Showing Steel Support Structure for Rotating Cell Blocks,” 1970s. Montgomery County Jail. Library of Congress. 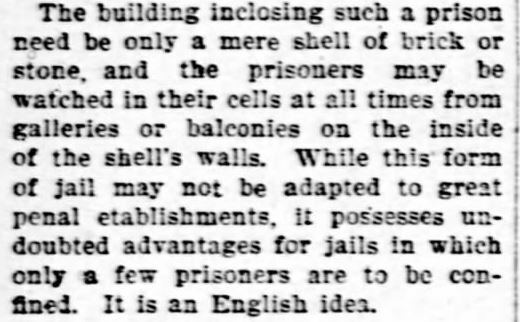 Plans for a “rat trap” or “steel trap” prison were being considered by the New York Penological Society in 1897. A syndicated news story incorrectly states that “It is an English idea.” It was a Hoosier one. Chicago Daily Tribune, October 10, 1897. 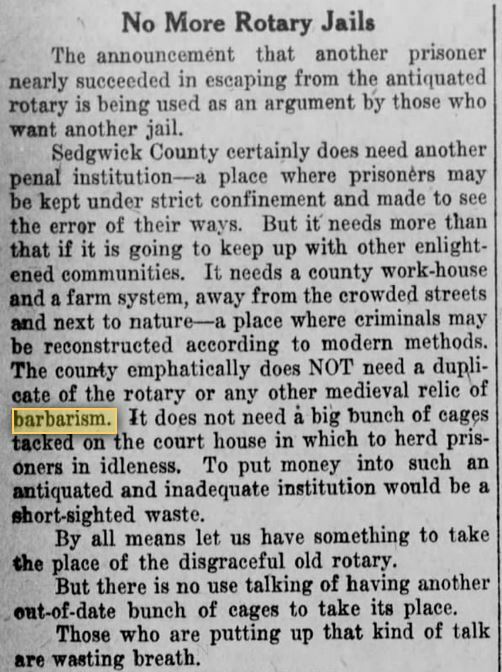 Columbus Journal, Columbus, Nebraska, January 19, 1898. San Francisco Call, October 12, 1897. Constructed in 1882, the Montgomery County Jail was one of at least eight rotary jails built in the U.S., though by some accounts there were around eighteen total, spread between Kentucky and Utah. Salt Lake City was the only large city that seems to have had one, and the plan was considered best for small-town jails. Only four of them survive today, with none still operating as a jail. The Pottawattamie County Jail in Council Bluffs, Iowa, was the last rotary jail to still be in use. It was discontinued in 1969. 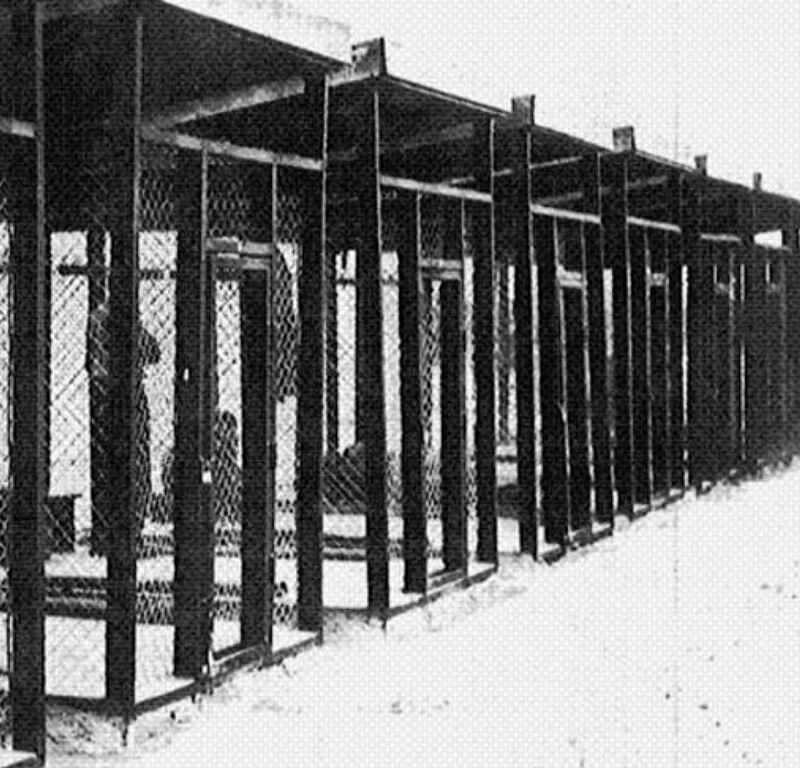 Although the website for Crawfordsville’s Rotary Jail Museum claims that the real motivation behind Brown and Haugh’s patent was “to help maintain strict Victorian social order,” revolving cell blocks were almost definitely an improvement on the pits that 19th-century prisoners were frequently chucked into. Yet as these new jails were built, their advantages were soon shown to be mostly theoretical. 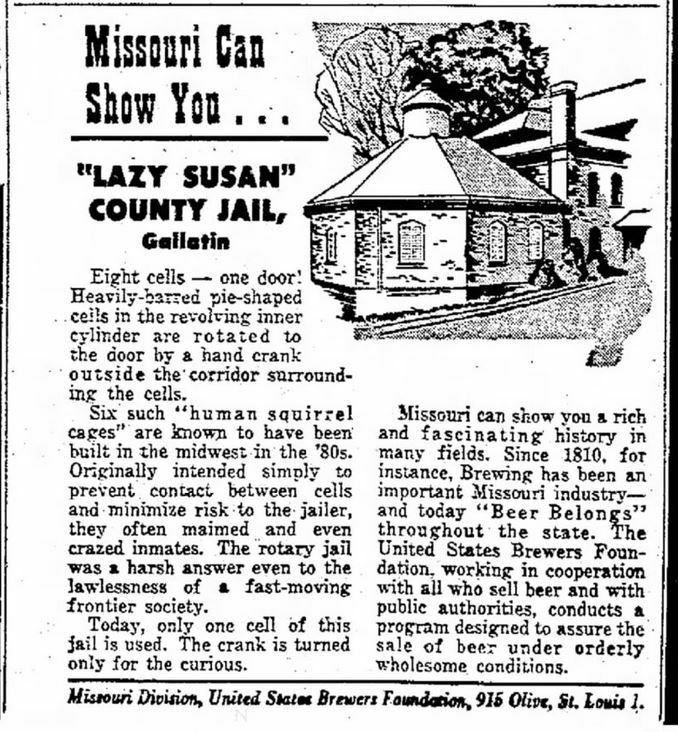 By the 1930s, in fact, the Montgomery County Jail came under criticism for poor ventilation, bad natural lighting, unsanitary conditions, and an “old, insecure, unsafe” structure — all problems that its designers had meant to resolve. Over the years, too, the limbs of inmates in American rotary jails occasionally got caught in the rotating bars, crushing or maiming them. Wichita Beacon, Wichita, Kansas, October 9, 1917. Kansas reformers should probably not have imitated Indiana’s experiment with a penal farm. Crawfordsville jailers tried to make improvements, but the town’s old rotary jail was finally abandoned in 1967. Montgomery County officially took it out of use in 1973. Like a couple of its historic kindred in Missouri and Iowa, it survives as a museum known as the Rotary Jail Museum. Moberly Monitor-Index, Moberly, Missouri, July 6, 1960. 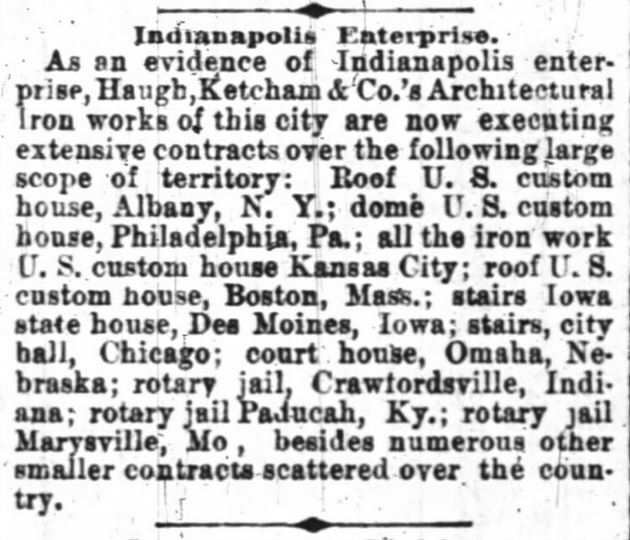 Ironically, the iron that went into Indiana’s lone rotary jail came from Haughville on Indianapolis’ West Side. Haugh, Ketchum & Co. Iron Works had moved from downtown west of the White River in 1880, just a year before owner Benjamin F. Haugh filed his patent with William Brown for a revolving cell block. Haughville or “Haughsville” in the 1880’s soon became known for its busy foundries, which included the rival National Malleable Castings Company, and it was considered a prosperous town when Indianapolis annexed it in 1897. Local industries attracted thousands of German, Irish, and Slovene immigrants to the area. 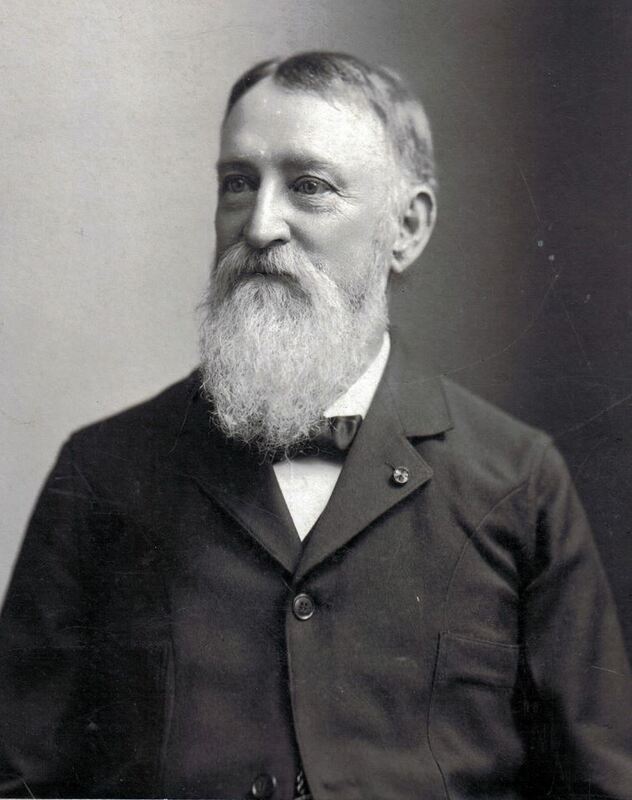 Indianapolis iron industrialist Benjamin Franklin Haugh, 1830-1912. Hendricks County Union, Danville, Indiana, January 4, 1871. 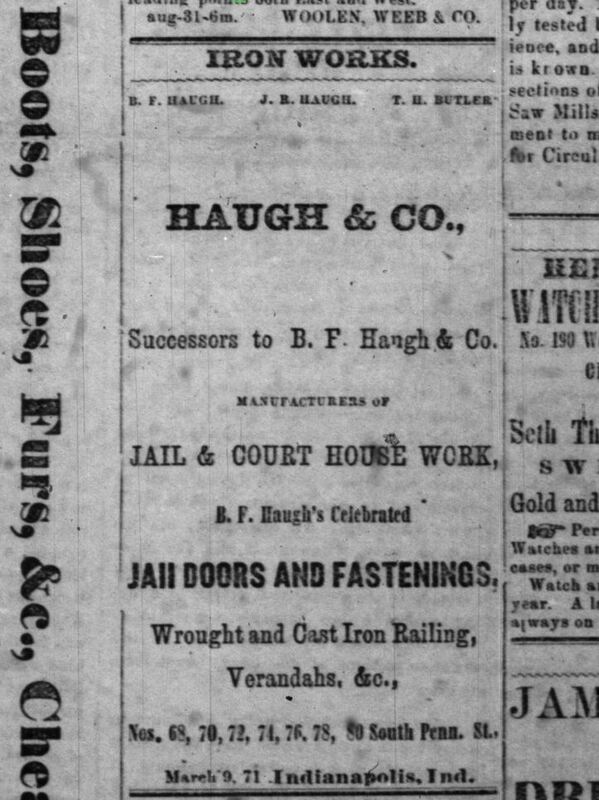 This clip advertised the Haugh Iron Works’ old location on South Pennsylvania Street downtown. The foundry moved west nine years later. 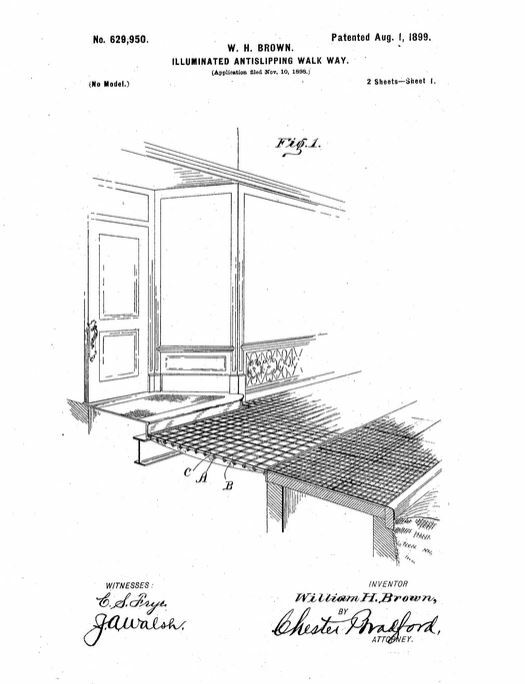 A decade before the rotary jail patent, the company was already turning out jail doors. The new Haughville iron foundry created the material for many major government buildings around the U.S., including the old Marion County Courthouse, demolished in 1963 to make way for the City-County Building, one of the city’s worst eye-sores. 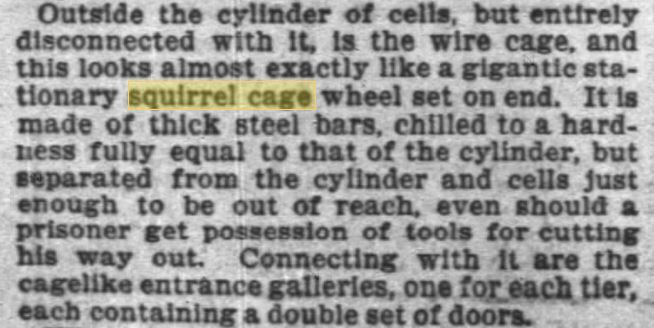 Indianapolis News, April 6, 1882. By the early 1900s, Haughville had become the center of Indianapolis’ Eastern European population, including Slovenes, Croats, Macedonians, and Hungarians. A wave of Southerners, both black and white, moved in after World War I. Haughville’s industries, however, slowly declined. When its two major employers, Link-Belt and National Casting, shut down in 1959 and 1962, the neighborhood slipped into serious decline and has never recovered. The closing of Washington High School and the old Central State Hospital (a huge mental institution which probably incorporated a lot of locally-produced iron) also hurt the area. Efforts have been made to revitalize Haughville, but this part of Indianapolis that once created iron for jails remains a feared part of the city, suffering from serious gang violence, drug addiction, and one of the highest rates of poverty and crime in the Midwest.